First project of 2013 is underway! I simply took handfuls of scraps from each color basket, mixed them up into a brown paper bag, and told myself I'd use whatever piece I pulled out. No thinking, no placing fabrics just so, just pure randomness. I rather love it. 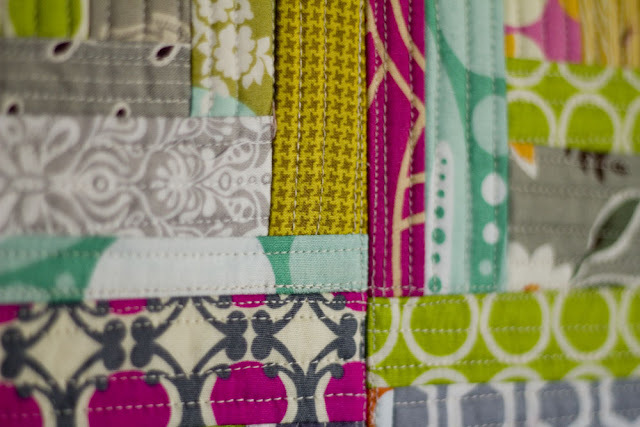 There is something almost magical about super-scrappy quilts...I almost want a whole quilt like this! 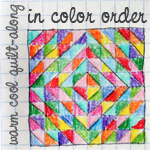 I did this one as a Quilt as you go (QAYG) project, so each log cabin block is pieced and quilted at the same time. So quick! For kicks, the back. I wasn't terribly concerened about being neat, being that its a pillow and this side wont be seen. 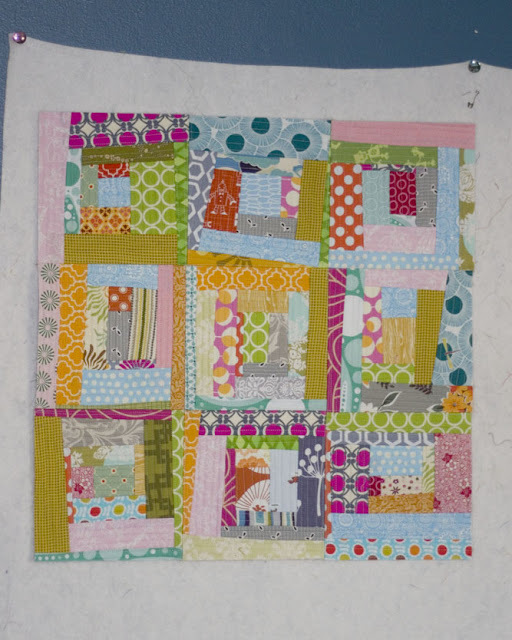 I didnt attach the blocks together in any standard QAYG method, I just treated them like regular unquilted blocks. Oh, but I did sew down the seam allowances so they'd lay flatter on the pillowform. 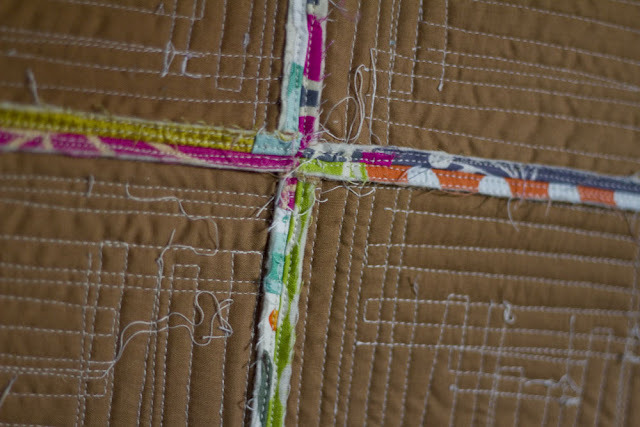 the stich lines blend in with the quilting on the front - hardly noticeable. I cant wait to get a form and finish up this and a couple more pillows for the couch...my back will be thankful!